Moorfields Eye Hospital Dubai has appointed Dr Ammar Safar, consultant ophthalmologist and vitreoretinal surgeon, and General Civil Aviation Authority (GCAA) approved specialist aeromedical examiner as the medical director of Moorfields Eye Hospitals in the UAE. Dr Safar is American Board Certified in Ophthalmology and is a highly experienced surgeon in vitreoretinal diseases, said a statement from Moorfields Eye Hospital. 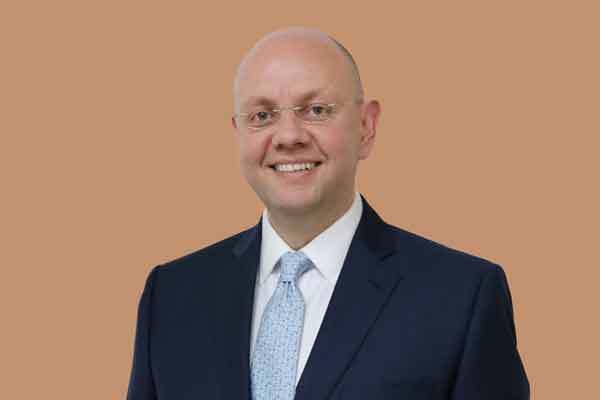 In his new role, he will be leading the 20 permanent and visiting consultant ophthalmologist team in the UAE, driving further growth of Moorfields’ reputation as a “Centre of Excellence” in the Middle East and Africa regions, it said. Dr Safar undertook his medical training in Syria before moving to the US where he specialised in ophthalmology, holding a number of positions including Fellow, Vitreoretinal Diseases and Surgery at the Parkland Memorial Hospital at the University of Texas, Southwestern Medical Center in Dallas, Texas, US. He then relocated to the UAE where he was vitreoretinal surgeon and president of medical staff at a private general hospital in Dubai, it added. In addition to his work in private practice, Dr Safar has undertaken research and clinical trials in areas such as diabetic retinopathy and age-related eye disease, and published and presented extensively, said a statement. His research work has also resulted in advances in retinal vascular diseases (discovering new management options for diabetic retinopathy and vascular occlusive disorders) and in macular degeneration (new approaches for treatment of exudative macular degeneration), it said. Among his many honorary awards, Dr Safar was the inaugural recipient of The Martha Bentley Wood Chair of Ophthalmology at the University of Arkansas.